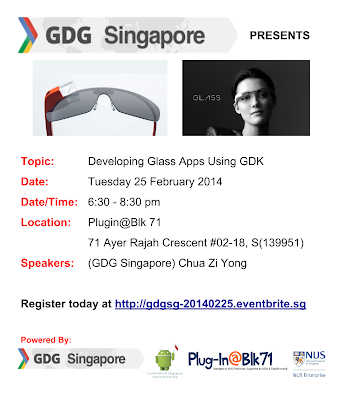 Summary: As a first meetup on Google Glass we will run through development process on Glass using Android GDK. 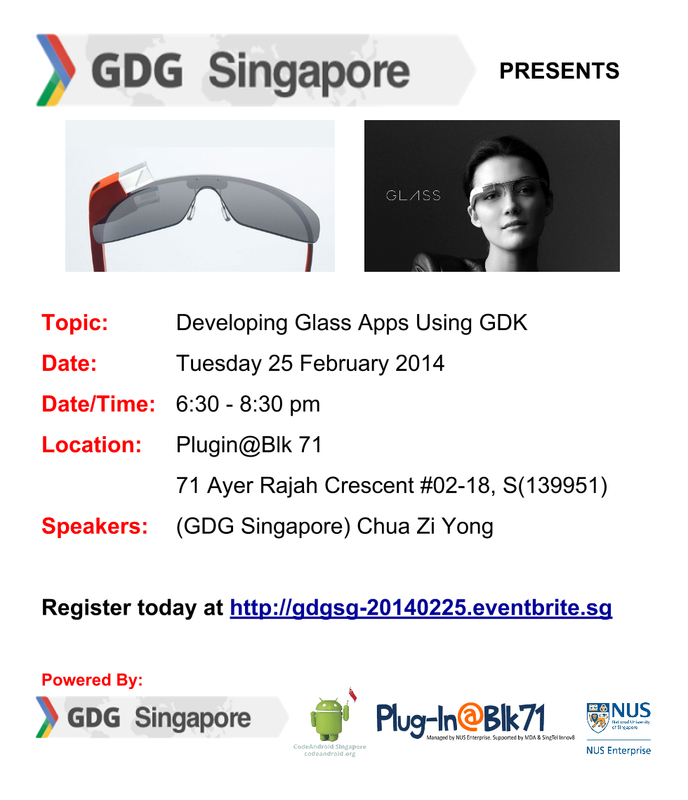 We will discuss the current framework for GDK, its limitations and steps to develop your first Glass app. We will also try to showcase a couple of apps which are already available during this meetup. The speaker for this event will be Mr Chua Zi Yong. Time: 06:30PM to 08:30PM (light refreshments provided). Talks will start at approx. 7:00PM. Registration form. Please RSVP by 19 February.